On the 12th of December 2017 the Academy of Economic Studies of Moldova organized a workshop with representatives of the Moldovan financial and banking sector to discuss the main challenges and opportunities for the sector as well as the impact of FinTech. The development of Master programmes in the subject area was also addressed. 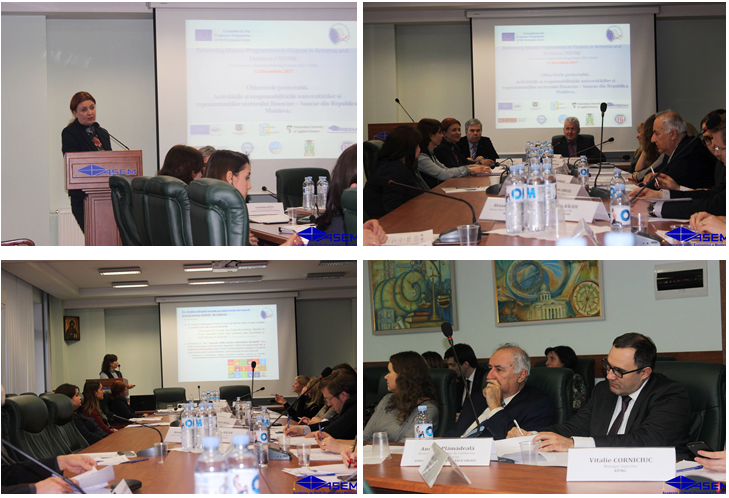 Strengths, weaknesses, as well as opportunities for the reform of Master programmes in finance were discussed. Other topics included the financial system in the Republic of Moldova and the reform process of the banking system under the new legislative framework.